While I was working in Manila, I was able to fly to Taipei for a long weekend. It was raining most of the time, so all the places I visited looked completely different to the pictures I found on the internet. I had to skip a few plans (eg. 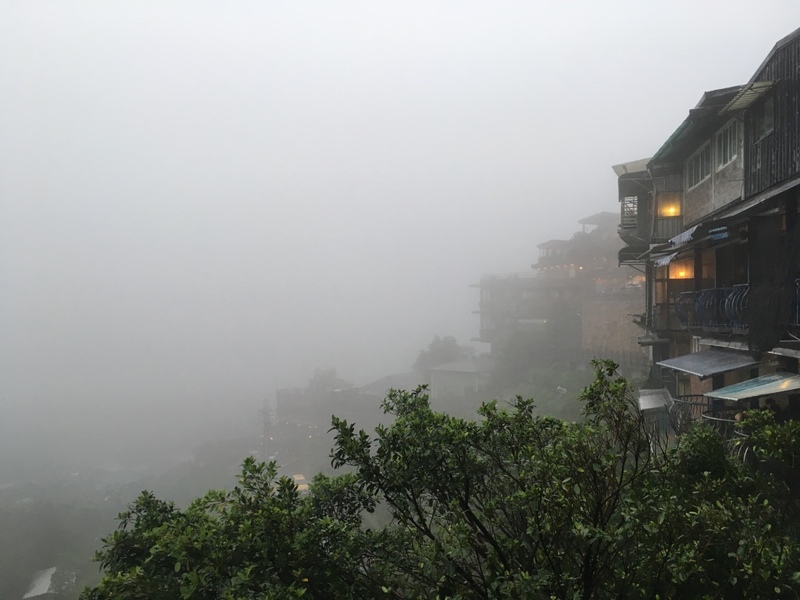 walking up the Elephant Mountain) because of the heavy rain and fog but some places had a special charm because of this weather. And the best thing about it: There were nearly no people at usually crowded tourist attractions. 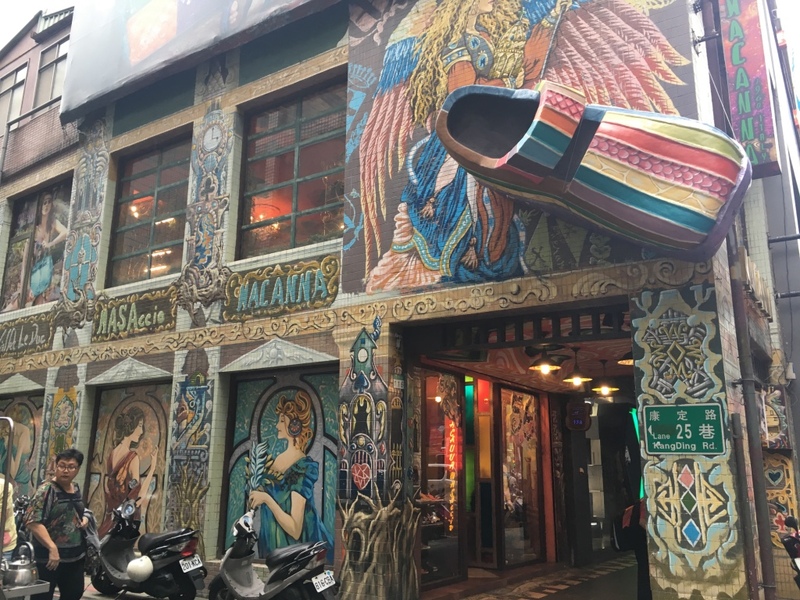 I arrived in Taipei in the morning and went straight to the Meander Hostel where I shared a dorm with 8 other girls. This hostel offers everything you need: its modern, clean, the dorms and the common area are great and the staff is super friendly. 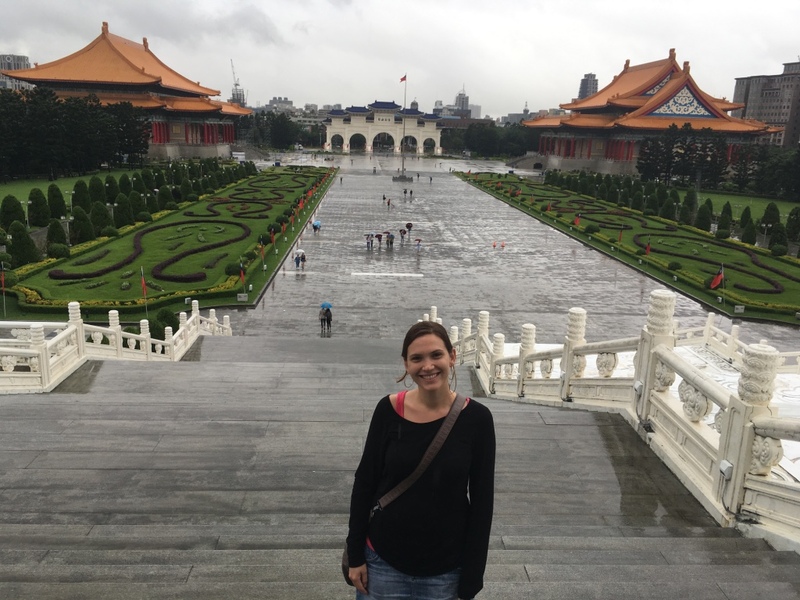 I met a few great people there and we explored Taipei and the area around it together. How you experience places, depends on the company you are surrounded by. I really had a great time there. After a few weeks in Manila I got kind of a cultural shock from the big differences these two cities offer. In Taipei everything is very well organized and engineered, but it doesn’t feel controlled or strictly regulated there. The city is modern and offers a lot of technical facilities which ease a lot of things for tourists, but on the other side you find a lot of tradition in this city. There are temples spread all over the city where you find people praying and meditating. Small temples hide between modern buildings, which you actually don’t recognize if you walk too fast. 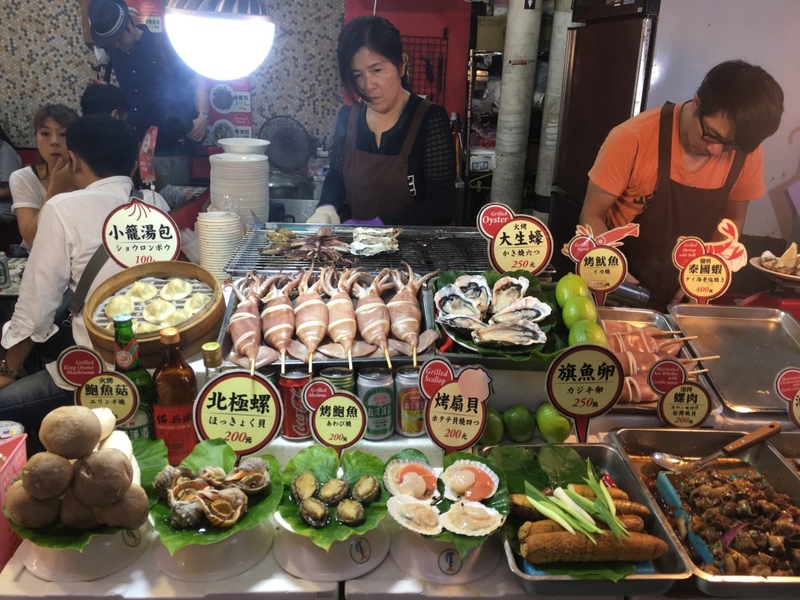 Before I flew to Taipei I read a few travel reviews and all of them where about the great food there. I couldn’t really understand how food could be that important when you visit a city, but I found out it actually really could. There are all types of restaurants, bars, street kitchen and coffee places you can imagine. 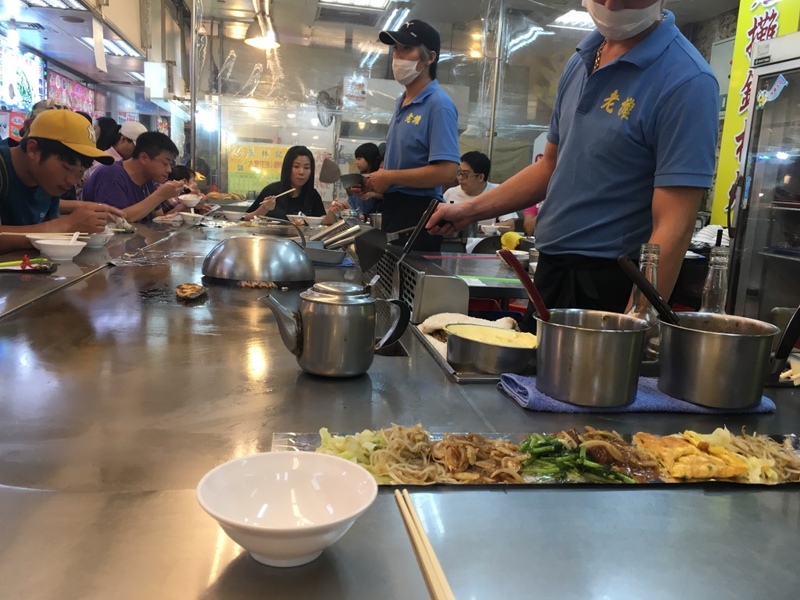 The local and international kitchen has a lot to offer and everything we tried tasted delicious. I think you can easily spend a year there trying to go through the wide range of food they offer. No matter which food you prefer, you will find it there, in all price-classes. 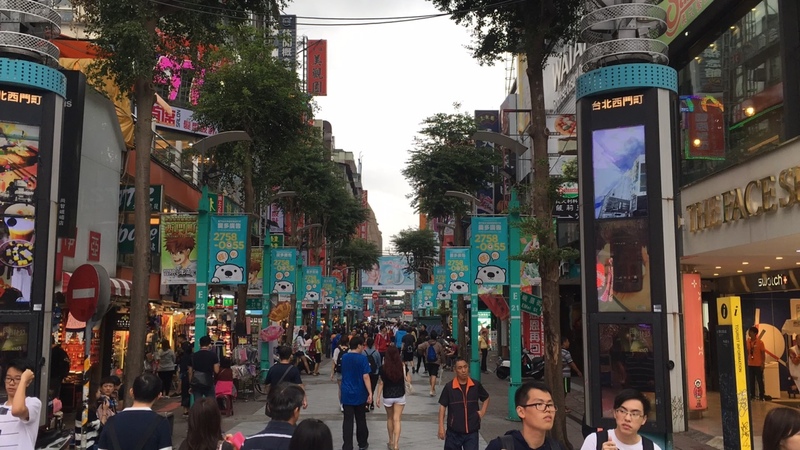 I spent my first day in the Ximen district. In my opinion this is the perfect district for people who are young at heart and don’t have the biggest budget. You can find a lot of hostels in this area and it’s also well located. The main shopping streets are a bit crowded, but not over-crowded, it has a really nice atmosphere there. There are a lot of shops, restaurants and cafés and everything feels so alive. The place is colorful with all the billboards on the buildings which lighten almost all night long. 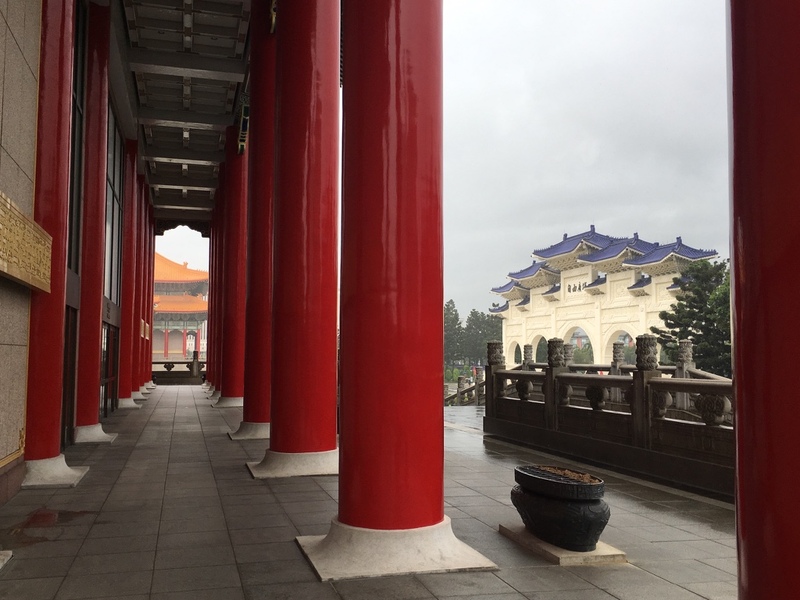 The next day we drove to the north of Taipei with the red metro line (btw the metro brings you easily everywhere you wanna go) and visited the Bao’an Temple and the Confucius Temple. 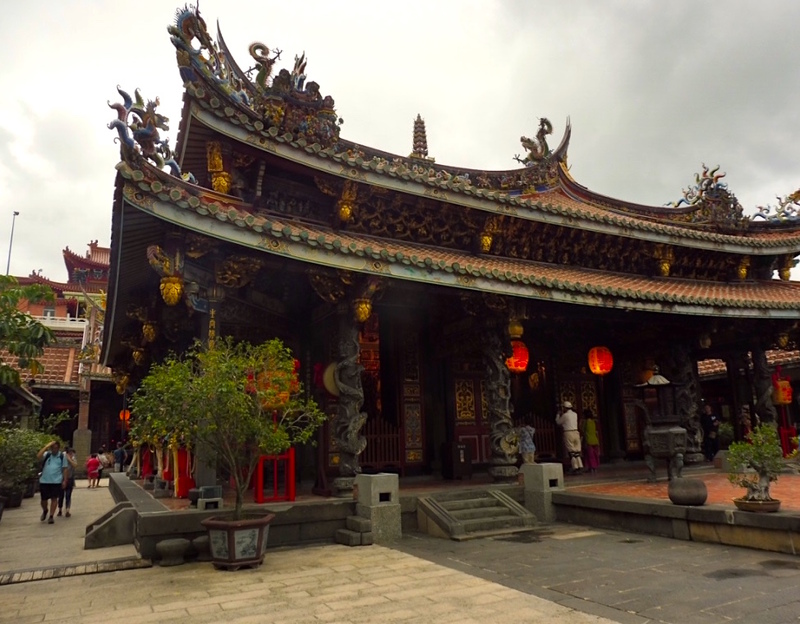 These colorful temples are really beautiful and it’s a great place to enjoy a very peaceful and quiet atmosphere. From the Confucius Temple we walked to the Shilin Night Market. On the way we crossed a bridge with a nice view over the Keelung river and the Grand Hotel, which looked like a huge temple. 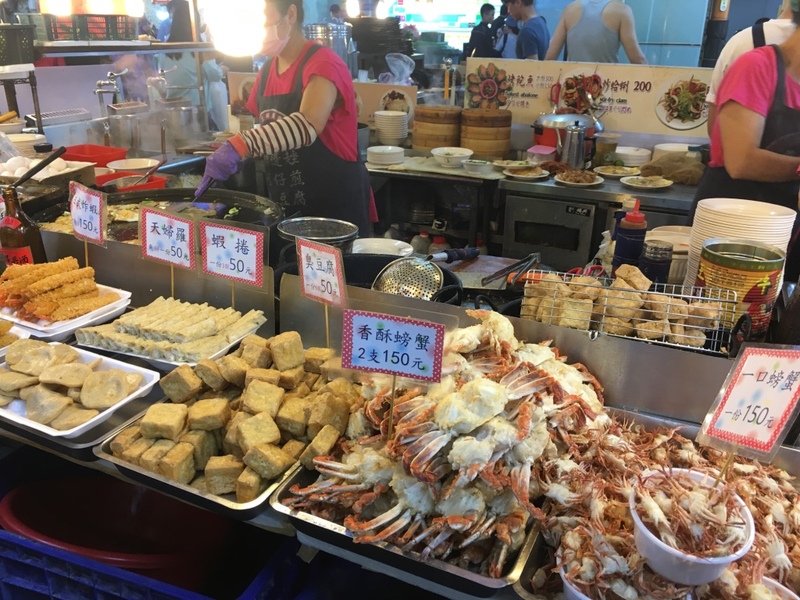 The Shilin Market is a typical tourist place. There are many shops and a lot of people, but it’s fun to walk through these bustling streets. And again it’s all about food. There are tons of small restaurants and street kitchens where you can easily find your new favorite dish. If you are not traveling on your own, always share something and go to the next food stand. Try as much as you can. You won’t return to the hostel with an empty stomach. 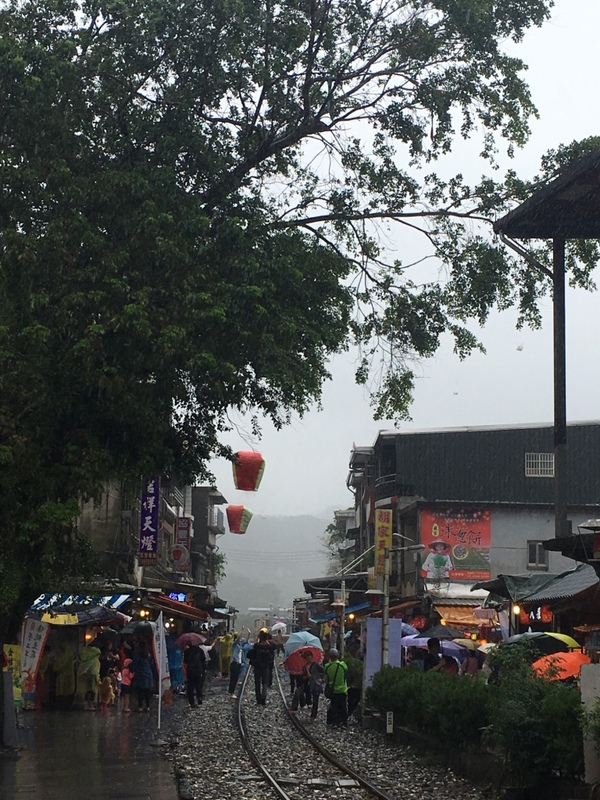 We made a day trip to Shifen and Juifen. Notice that if you want to see these two towns in one day you should start early in the morning. Shifen is located in Pingxi District and it took us around 1,5 hours to get there from the city center. We got out of the train at the famous Shifen Old Street, where souvenir shops and restaurants are located on the right and left side of the railway. When a train is coming, you better step aside. 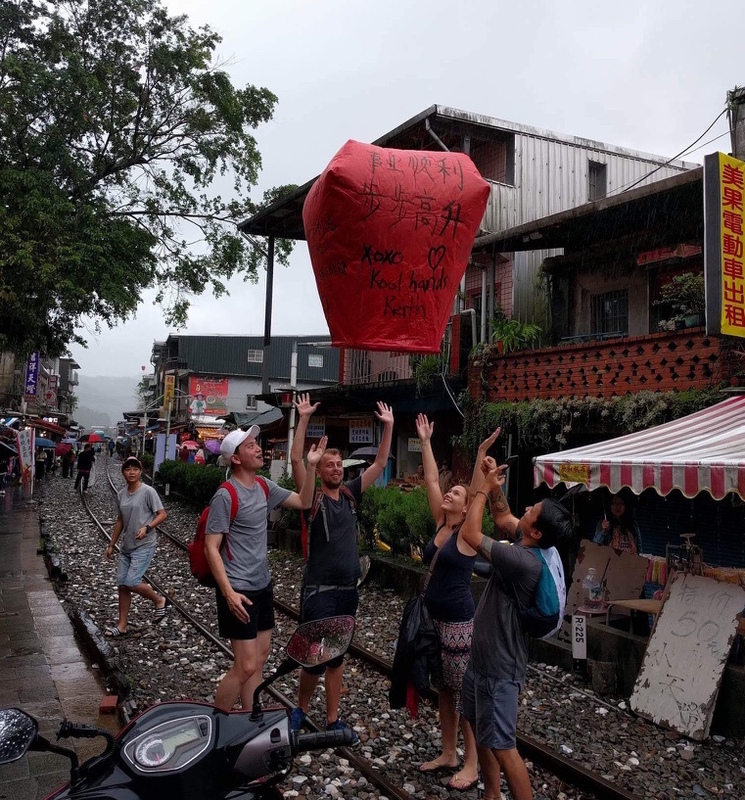 This place is also famous for releasing sky lanterns. It surprised us that the lanterns which were made out of paper could even fly although it was raining. 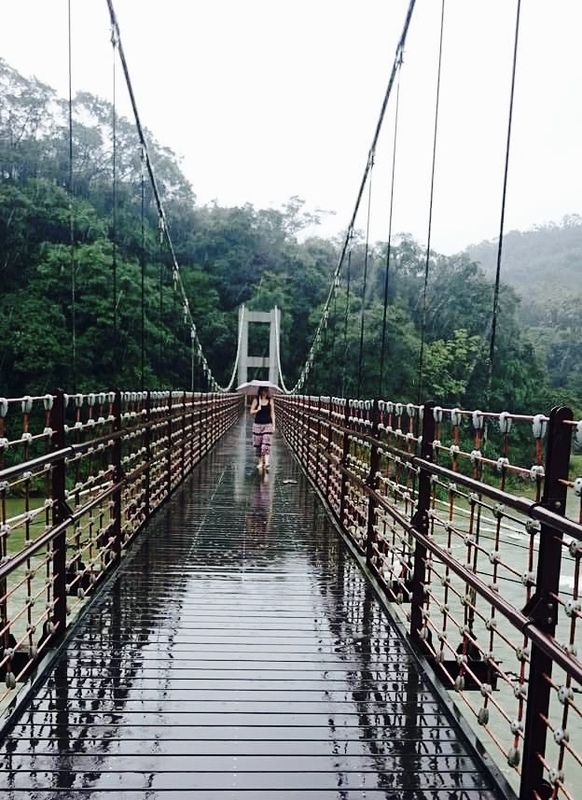 After a 20 minute walk we reached the Jingan Suspension Bridge, which was originally a part of the railway line. Take a walk on the bridge and stop somewhere to enjoy the great atmosphere: the beautiful landscape, the sound of the wild strong flow of the river and the fresh air. Another 15 minute walk took us to the Shifen Waterfall. 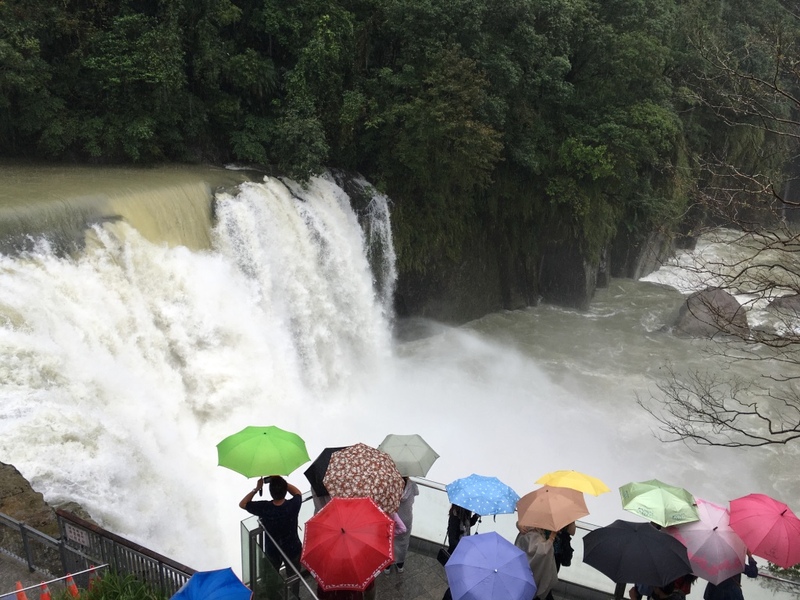 This waterfall is Taiwan’s broadest with a height of 20 meters and it’s surrounded by a mountainous area. 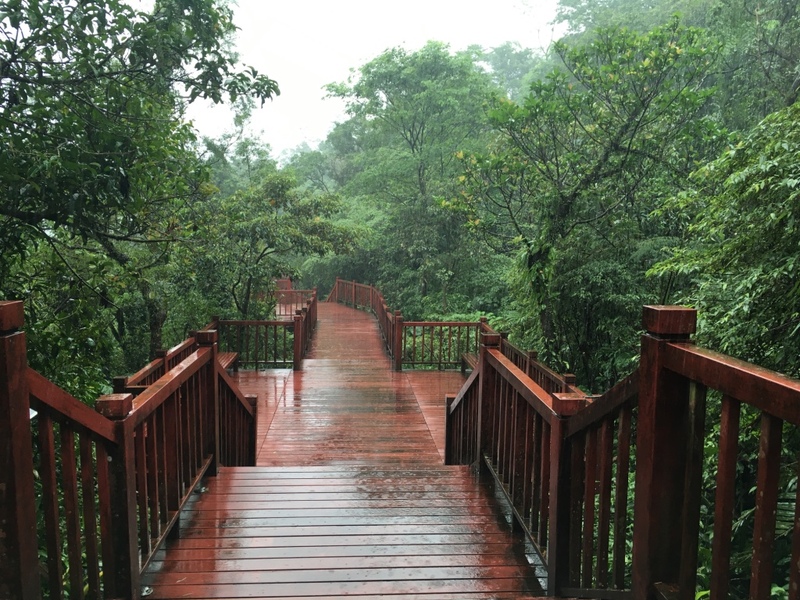 The last part of the path to the waterfall is made of wood and looks like an endless bridge through the forest. Thanks to the heavy rain we were alone there and could enjoy the quiet natural area. The waterfall itself is impressive and you can feel how much strength nature holds within. 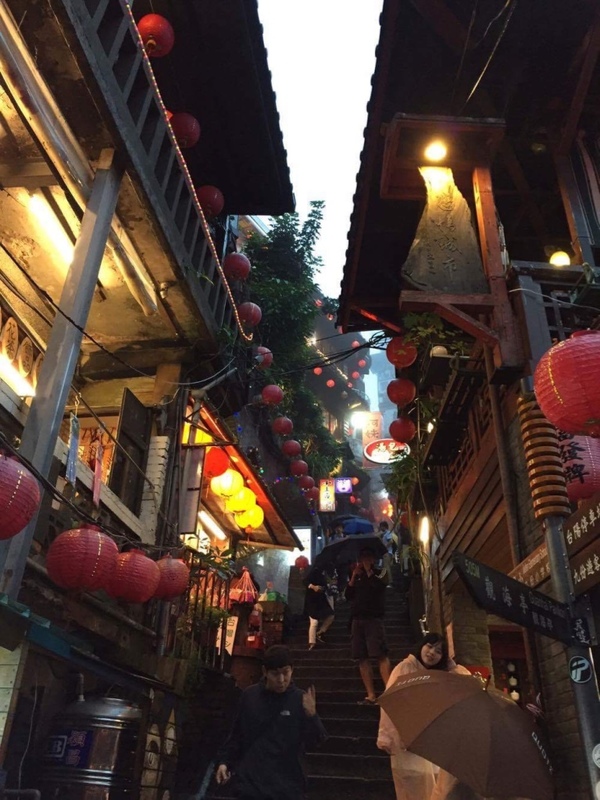 After visiting Shifen we took a train and a bus to Jiufen. 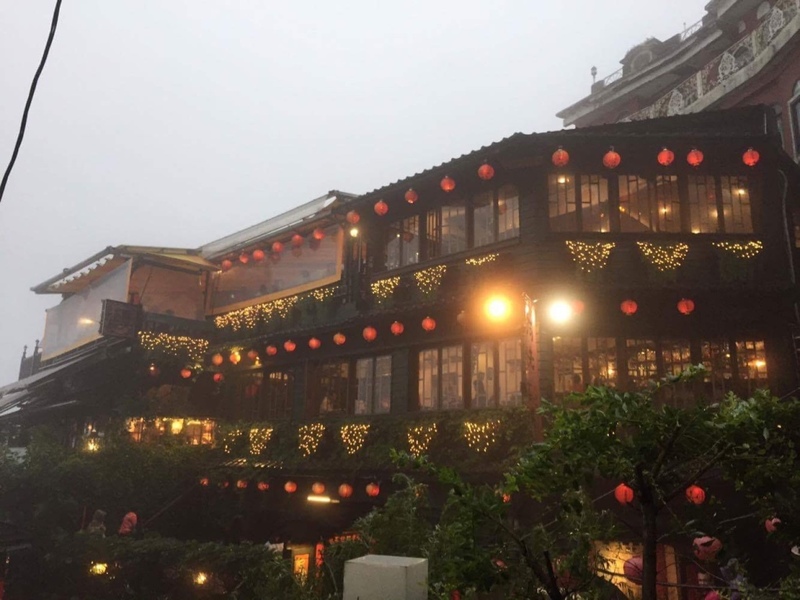 Jiufen is a town built into the hills and it’s famous for the old Jiufen Teahouse and a stunning view – well, if there isn’t any fog 😛 The small narrow streets and stairways are full of small shops and restaurants and Chinese lanterns decorate the old historic buildings of the town. 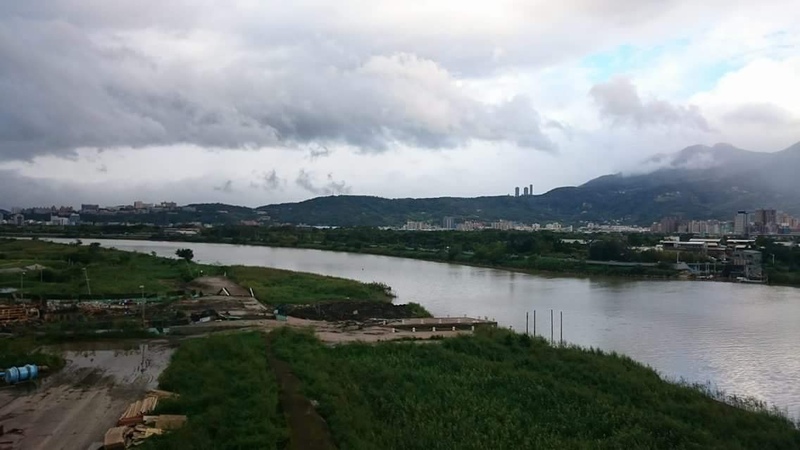 The next day we rent a bike for a few hours and drove along the Keelung River to the North, which gave us the chance to discover different districts of Taipei. 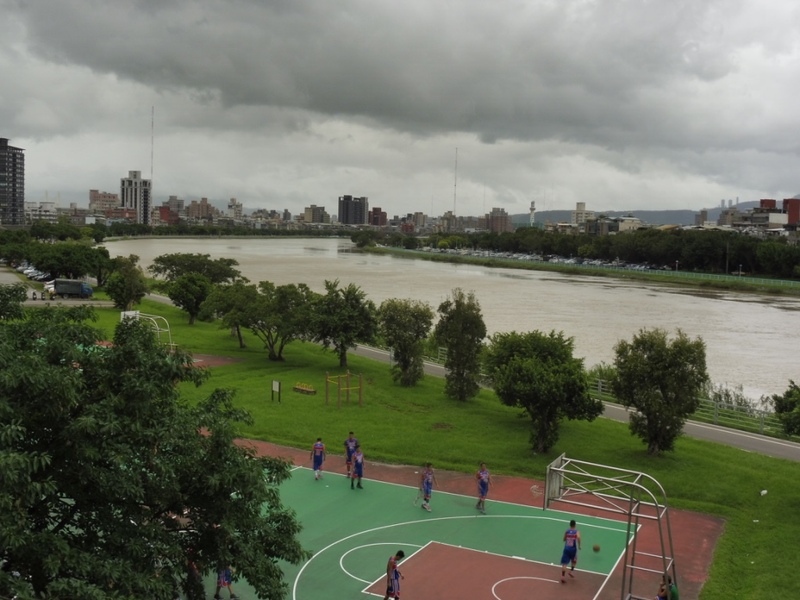 There were sport grounds where young people played basketball and soccer and people were running, biking and enjoying the quiet of this lovely way next to the river. And we also passed a poorer area where locals live in very simple homes. 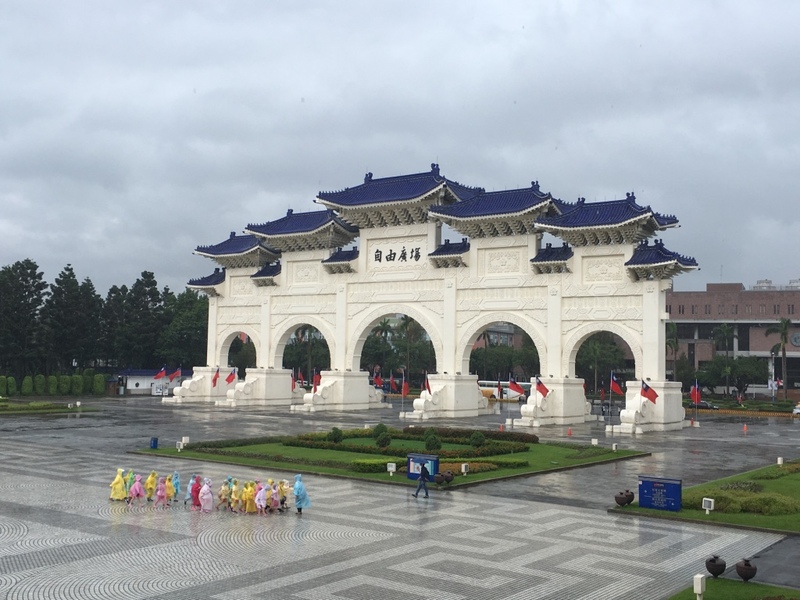 On the last day I visited the Taiwan Democracy Memorial Park, also known as Liberty Square. 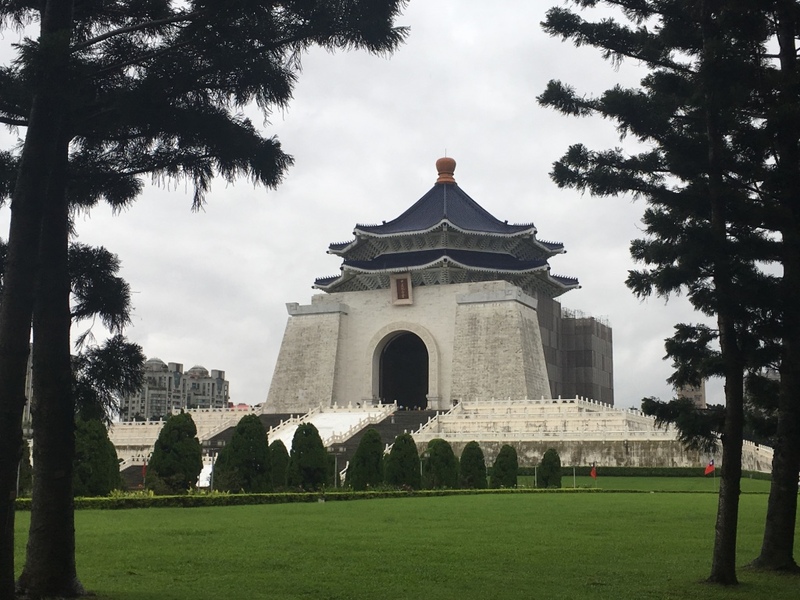 There is the famous National Chiang Kai-shek Memorial Hall and the twin buildings, the National Theater and the National Concert Hall on the north and south sides of the square. A short walk away from the Square there is a little lake with a cute white bridge, surrounded by trees – a calm place in the middle of the city. 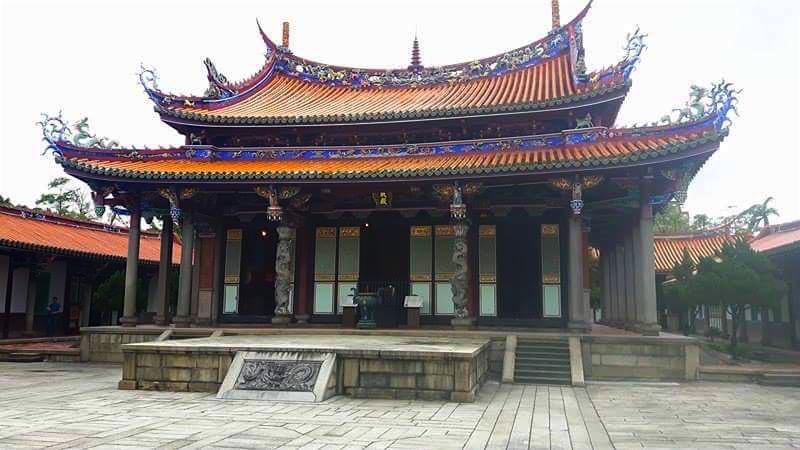 Taipei is a great city with a lot of interesting and beautiful places to explore. One day I want to come back and see all the other amazing places of Taiwan. Do you have any recommendations about traveling Taiwan? Please leave any questions or comments in the box below!